Alliance Group Chief Executive David Surveyor, Zuma restaurant Head Chef Sam Wilkes and NZ Prime Minister Bill English at the launch of Te Mana Lamb in Hong Kong. A new kind of lamb set to spark a renaissance in the global appetite for premium meat has been launched by New Zealand Prime Minister Bill English at a reception in Hong Kong. Te Mana Lamb, the culmination of a decade’s research and development, has put the ‘good fat’ back into the lamb with rich levels of Omega-3 polyunsaturated fats, ensuring it can arguably lay claim to the title of the world’s heathiest red meat. Guests at a gala dinner at the Grand Hyatt Hotel attended by Prime Minister English and the Hong Kong business community were among the first international diners to try the world’s newest lamb, which is bred in New Zealand’s iconic South Island high country and finished on special chicory herb pastures. Eat the Kiwi, a New Zealand Coalition supported through NZTE, hosted the event (Friday 19th May) at Hong Kong’s Zuma restaurant as the Hong Kong distributor. Te Mana Lamb is now on the menu of a limited number of exclusive Hong Kong and New Zealand restaurants before plans are finalised to launch the lamb in other markets. The lamb is the result of an innovative “Primary Growth Partnership” programme involving leading New Zealand food company Alliance Group, a group of the country’s progressive farmers known as Headwaters and New Zealand government agency the Ministry for Primary Industries (MPI). Known as The Omega Lamb Project, the aim of the programme is to increase the total value of lamb and the share of value captured in New Zealand by developing healthy, high quality branded products. 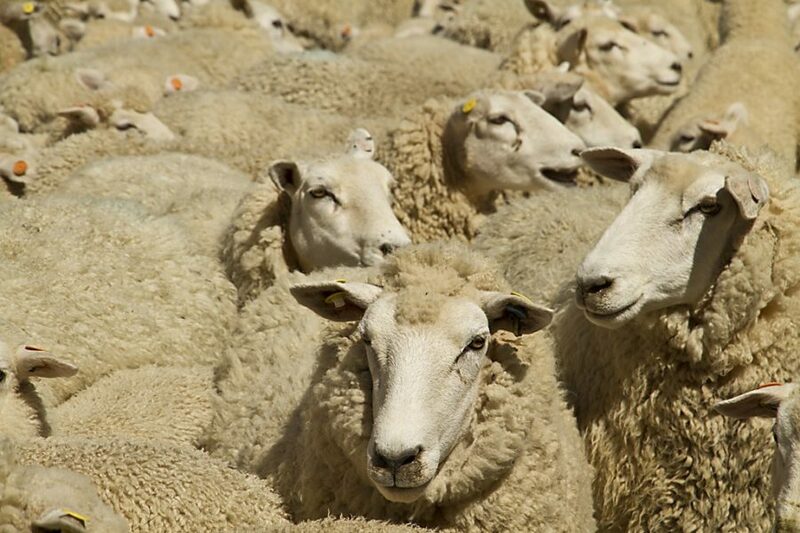 Peter Russell, General Manager Marketing for Alliance Group, said the Omega Lamb Project was originally conceived to produce less ‘lean’ sheep, able to thrive better in high altitudes, pastures and conditions. “There was an epiphany moment. The breakthrough discovery that these lambs were not just healthier, but also significantly and demonstrably better-eating due to the type of intramuscular fat, the healthy polyunsaturated Omega-3 fat. This in turn means the resulting lamb doesn’t taste like any other lamb before it. “Te Mana Lamb has a rich marbling of healthy Omega-3 fats. That’s where the spectacular taste resides. The result is an entirely new lamb taste experience– delicate, clean and tender. “Te Mana Lamb doesn’t behave like regular lamb when cooking. Because the lamb meat is full of ‘good fat’, it has essentially less moisture. That means it doesn’t suffer shrinkage, retains its shape, flavour and texture and is more versatile. He added: “This discovery will benefit a whole new generation of foodies that may have thought lamb was consigned to a previous generation and entirely new consumer segments and markets that previously weren’t interested in lamb. “Te Mana Lamb, befitting its place as Food from Heaven, is produced to the highest standards of consistency and quality. It is only available in limited quantities and its supply will be restricted to a number of exclusive restaurants. Mike Tate, General Manager of the Omega Lamb Project, said: “New Zealand lamb is internationally renowned for its quality by consumers and the hospitality industry. There has been an extremely positive response from chefs, and the feedback from multiple taste panels shows the extra “good fats” really enhance succulence and eating quality, said Mr Tate. Justine Gilliland, Director Investment Programmes for the Ministry for Primary Industries, said: “Over time, the programme aims to deliver premiums for our farmers and processors, and raise the value and profitability of New Zealand’s lamb overall. “This Primary Growth Partnership programme has the potential to add over $400 million in new export earnings, and increase lamb revenues by 34% for adopting farmers. 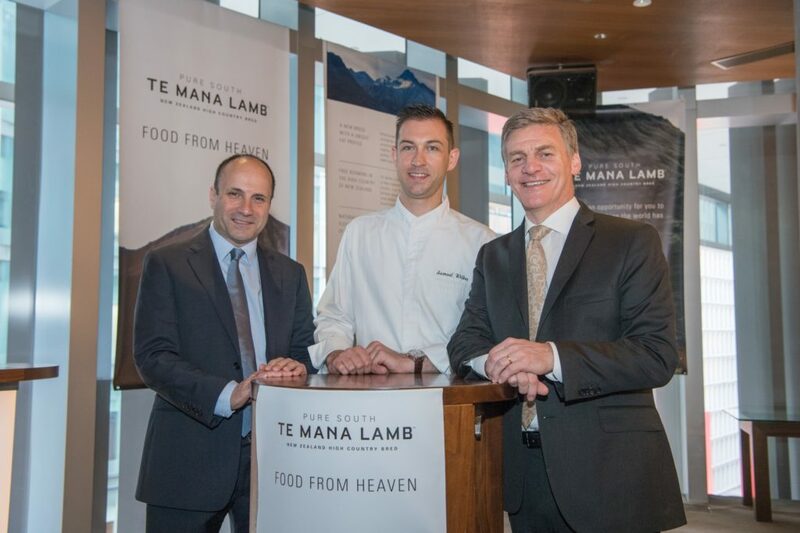 Te Mana Lamb was tested to chef and customer acclaim at luxury lodges and leading restaurants in New Zealand as part of a trial in 2016. Dale Bowie, chef and co-owner of the renowned Wanaka Gourmet Kitchen in New Zealand’s South Island, is one of the chefs who has been serving the lamb. He says: “It’s a revelation – radically different. With ordinary lamb, I have to do a lot of adjusting during cooking, but with Te Mana Lamb, it’s really simple to get a perfect result every time. “Since we’ve been using Te Mana in the restaurant, many customers have commented the lamb is even better than before. It’s really succulent, with a great taste but none of the fattiness you traditionally associate with lamb. Te Mana Lamb was selected as the centrepiece of the main dish prepared by New Zealand’s team when it competed in the international Culinary Olympics in October, winning a coveted silver medal in the live hot kitchen competition.